BEIJING - The outpouring of international aid to the Philippines makes China's contribution for typhoon relief look like a trickle: Several countries and even Swedish furniture chain Ikea have done more than the world's second-largest economy. That won't help Beijing's campaign to win over neighbors with its soft power. Another Chinese rival, Japan, has pledged $10 million and offered to send troops, ships and planes. Australia is giving $28 million, and Ikea has offered $2.7 million through its charitable foundation. China's reluctance to give more - driven by a bitter feud with Manila over overlapping claims in the South China Sea - dents its global image at a time when it is vying with Washington for regional influence. "China has missed an excellent opportunity to show itself as a responsible power and to generate goodwill," said Zheng Yongnian, a China politics expert at the National University of Singapore. "They still lack strategic thinking." The decline of American influence in Asia, with China filling the vacuum, has been predicted for years. Asian nations have become increasingly dependent on China's booming economy to purchase their exports, and Chinese companies are increasingly providers of investment and employment. Yet, China lags far behind the U.S. in the sphere of soft power - the winning of hearts and minds through culture, education, and other non-traditional forms of diplomacy, of which emergency assistance is a major component. Despite Chinese academics' frequent promotion of soft power, Chinese leaders don't really get it, said Zheng. Instead, they continue to rely on the levers of old-fashioned major-nation diplomacy based on economic and military might. "They still think they can get their way through coercion," Zheng said. China's donations to Philippines include $100,000 each from the government and the Chinese Red Cross, and it is sending an additional $1.64 million in tents, blankets and other goods. Meanwhile, the USS George Washington aircraft carrier arrived off the Philippine coast Thursday, and 1,000 troops were expected on the ground in the disaster zone by the end of the week. U.S. planes and choppers carried in supplies and flew out survivors. "We are operating 24-7," Marine Capt. Cassandra Gesecki said. In the devastated town of Tacloban, U.S. Air Force Capt. Jon Shamess took a break from work on a damaged airstrip, and said he was "thankful" for the opportunity. "I hope that in my time of immense loss somebody will come and help me as well. I can tell you this is a global effort," he said. Britain, another leading contributor to the relief effort, is sending the aircraft carrier HMS Illustrious later this month. Beijing's tepid response to the disaster shows how its feud with Manila over territory - fed by a constant drumbeat of invective from the government and state media - is metastasizing to all areas of its interactions with the Philippines. Though Beijing's sea claims overlap with Vietnam and others, it has singled out the Philippines, apparently because of Manila's energetic assertions of its own claims. Beijing was enraged by Manila's decision to send the dispute to international arbitration and constantly rails against its close military alliance with the U.S.
China's generosity with the Philippines hasn't entirely dried up. It pledged $80,000 to the Philippines last month following a major earthquake there, in addition to this week's pledges. And President Xi Jinping expressed his sympathy to his Philippine counterpart Benigno Aquino in the latest disaster, although a five full days later and without mentioning assistance. Chinese leaders are notoriously sensitive to public opinion on foreign affairs. On the Chinese Internet, the chief outlet for such expression, sentiment is strongly against providing aid. "Why should we donate to the Philippines so that they can arm themselves with warships and aircraft? Is the Philippines a country that understands gratitude? Didn't we show our warm heart to the country? What did we get from that? Nothing," Fu Yao, a popular maker of micro-films, wrote on his miniblog. Zhu Feng, an international relations expert at Peking University, said the amount donated "reflects the political deadlock, if not outright hostility, between the two countries. The political atmosphere is the biggest influence." An additional factor could be China is a relative newcomer to overseas disaster relief. The country sent tents and a medical mission to hardest-hit Aceh province in Indonesia after the 2004 Indian Ocean tsunami and government and public donations ranged in the millions of dollars. Since then, China's participation has been mainly limited to assisting close ally Pakistan with flood and earthquake relief and some help to foreign nationals fleeing Libya during an unprecedented mission to evacuate 30,000 of its citizens from the war-torn nation. When China has suffered natural disasters itself, it has largely handled them on its own. 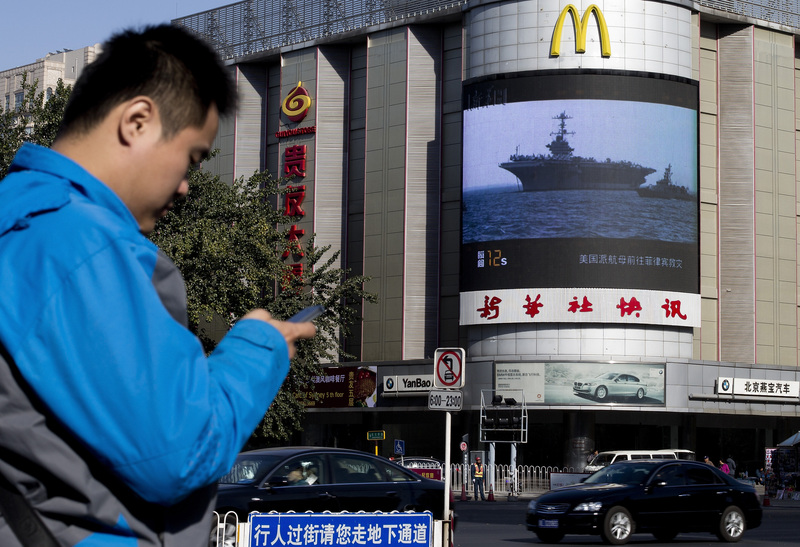 China has considerable capacity to do so and depends on its own military, the world's largest. After the 2008 Sichuan earthquake, for example, it only accepted token foreign aid. The Philippines offered a medical team and emergency supplies, but China declined that and other offers at the time. China's private sector isn't likely to step into the gap. Charity is dominated by the government, with few private organizations of national reach. Those that exist, such as the Red Cross, have often been discredited by allegations of corruption and waste. Meanwhile, corporate philanthropy remains in its infancy and China's growing class of millionaires and billionaires are notoriously loath to part with their wealth. Privately, and online, many Chinese say any attempt to help by a mainland Chinese company would go down badly with the public. That contrasts starkly with the Chinese territory of Hong Kong, which is helping despite strong public outrage over Manila's handling of a 2010 hostage crisis that killed Hong Kong residents. From Hong Kong, aid teams were dispatched and private charities pledged millions in donations. Ultimately, the damage to China will be "remarkably small," but only because countries have little real love for Beijing and were expecting little from it, said University of Nottingham China expert Steve Tsang. "It's an expression of China's petty-mindedness," Tsang said. "China already demands respect so other countries fear but don't love it."